Chapter 116B - Escheats and Abandoned Property. § 116B-1. Escheats to Escheat Fund. § 116B-2. Unclaimed real and personal property escheats to the Escheat Fund. § 116B-3. Unclaimed personalty on settlements of decedents' estates to the Escheat Fund. § 116B-4. Claim for escheated property. § 116B-6. Administration of Escheat Fund; Escheat Account. § 116B-7. Distribution of fund. § 116B-8. Employment of persons with specialized skills or knowledge. § 116B-9. Reserved for future codification purposes. Article 2 - Abandoned Property. §§ 116B-10 through 116B-26. Repealed by Session Laws 1999-460, s. 2, effective January 1, 2000. Article 3 - Administration of Abandoned Property. § 116B-27: Recodified as § 116B-5 by Session Laws 1999-460, s. 3(b). §§ 116B-28 through 116B-35. Repealed by Session Laws 1999-460, s. 3(a), effective January 1, 2000. § 116B-36: Recodified as § 116B-6 by Session Laws 1999-460, s. 3(b). § 116B-37: Recodified as § 116B-7 by Session Laws 1999-460, s. 3(b). §§ 116B-38 through 116B-46. Repealed by Session Laws 1999-460, s. 3(a), effective January 1, 2000. § 116B-47: Recodified as § 116B-8 by Session Laws 1999-460, s. 3(b). §§ 116B-48 through 116B-49. Repealed by Session Laws 1999-460, s. 3(a), effective January 1, 2000. § 116B-50. Reserved for future codification purposes.  Article 4 - North Carolina Unclaimed Property Act. § 116B-53. Presumptions of abandonment. § 116B-54. Exclusion for forfeited reservation deposits, certain gift certificates or electronic gift cards, prepaid calling cards, certain manufactured home buyer deposits, certain credit balances, unclaimed lottery prizes, and certain merchandise credits. § 116B-54.1. Unclaimed United States savings bonds. § 116B-55. Contents of safe deposit box or other safekeeping depository. § 116B-56. Rules for taking custody. § 116B-57. Dormancy charge; other lawful charges. § 116B-58. Burden of proof as to property evidenced by record of check or draft. § 116B-59. Notice by holders to apparent owners. § 116B-60. Report of abandoned property; certification by holders with tax return. § 116B-61. Payment or delivery of abandoned property. § 116B-62. Preparation of list of owners by Treasurer. § 116B-63. Custody by State; recovery by holder; defense of holder. § 116B-64. Income or gain accruing after payment or delivery. § 116B-65. Public sale of abandoned property. § 116B-66. Claim of another state to recover property. § 116B-67. Claim for property paid or delivered to the Treasurer. § 116B-68. Action to establish claim. § 116B-69. Election to take payment or delivery. § 116B-70. Destruction or disposition of property having no substantial commercial value; immunity from liability; property of historical significance. § 116B-71. Periods of limitation. § 116B-72. Requests for reports and examination of records. § 116B-73. Retention of records. § 116B-74. Discretionary precompliance review. § 116B-76. Interstate agreements and cooperation; joint and reciprocal actions with other states. § 116B-77. Interest and penalties; waiver. § 116B-78. Agreement to locate property.